What happened to the Montauk Brand? Montauk. We live here. We love it here. Jill’s kids were born and raised here. We started our business here 14 years ago. But something has happened to our town – the brand has been hijacked. Montauk used to stand for fun, fishing, surfing, beach. Sure there was drinking. And live music. Even the occasional guy who wandered into the bushes when he couldn’t make it to the bathroom. But Montauk was a destination for families, surfers, eccentrics (who gave the place character) and visitors who came here to enjoy Montauk for what it was. Not change it. Now, it’s become a destination for epic partying. The brand started to shift when Ground Zero (aka Surf Lodge) opened, attracting swarms of hipsters, and every magazine (national and international) wrote about our quaint, off the grid seaside town that used to be too far to get to. Add Sloppy Tuna (should that name even be allowed?) and Animal House ensued. We started attracting the wrong target market. We built it and they came. This material (and #DontTrashTauk) are the property of blumenfeld + fleming, the award-winning marketing, advertising and web design firm with worldwide headquarters in Montauk. Previous: It’s Finally Spring in Montauk! Ok, enough said. Love the idea of #DontTrashTauk, bravo. It’s time to start a positive wave, one that can’t be denied. Realize that the Surf Lodge and the Sloppy Tuna are now in place, make them your allies moving forward. They must be involved in the change and see their place in the potential moving forward. Positivity can win this battle, not sure how but hey your the creatives, make a sunrise on the next 20 years with examples of success on the beach. Who is for a subject, whom an object. And the Montaukett Indians read this and told me they couldn’t agree with you more. Then they asked me when are we all finally going to move away and leave them alone. I am so glad we are talking about this and not accepting the unacceptable. Well said! It’s time for the locals who love this place to take it back. All of the community meetings and hearings are a good start. But you can only blame the Surf Lodge and Sloppy Tuna and greedy homeowners who rent the share houses only so much. 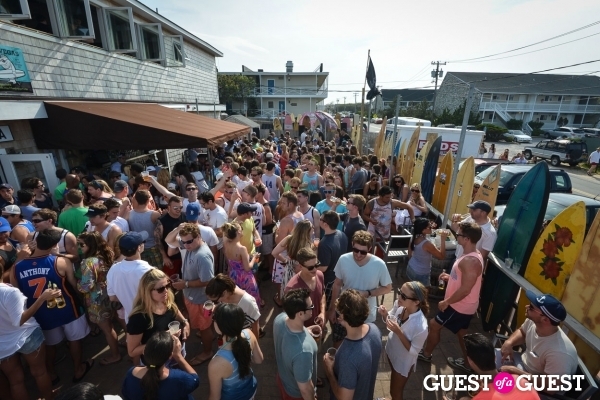 The way Montauk has been advertised, marketed and profiled in certain press also has impact on the crowd who comes out here and trashes the place. Why aren’t B+F working on the re-branding of Montauk via marketing and press releases? You’re a local company who obviously knows and cherishes our town! Selfishly monetizing one’s neighbors’ misery (party houses) while degrading Montauk’s overstressed environmental//traffic/public safety infrastructure is not a sustainable community “business model”, no matter how much cash can immediately be pocketed by doing so. 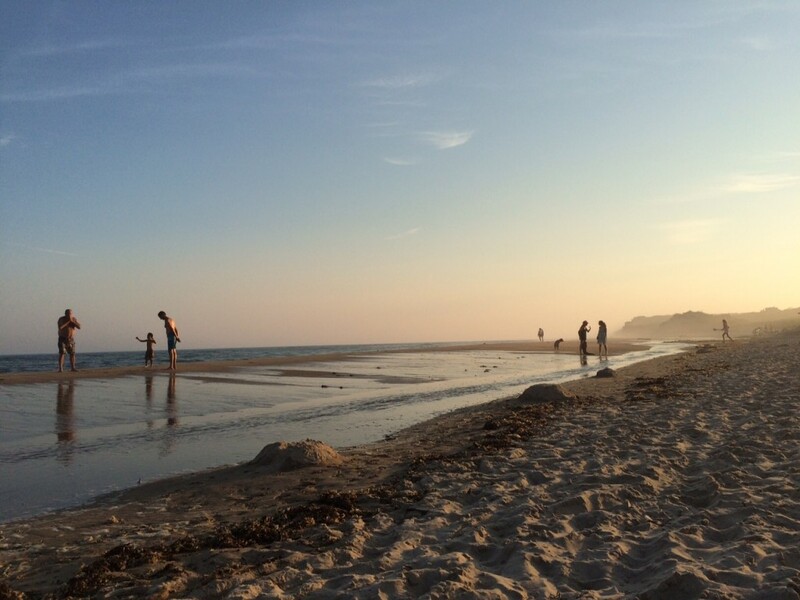 Montauk has been a world class natural paradise made possible by a healthy, respectful balance of man and Nature. Can’t put a price on that. Very well written. A reverse ‘change for the greater good’ is needed. Remember you will always deal with the negative 20%, but the 80% who are working to bring Respect To Montauk must stay on top of all issues. Be at all meetings. Only with the constant pressure to save your beautiful place will it happen. It will be better again. The change that needs to occur lies within each of you. Keep believing in yourself and it will happen.